Looking for hotels near Censier-Daubenton Metro Station? 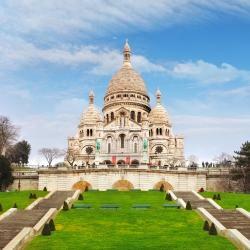 Featuring a bar, Hôtel Montecristo is set in Paris, 1.2 mi from Noter Dame Cathedral. 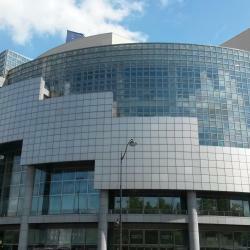 The property is around 1.6 mi from Opéra Bastille and 1.7 mi from Pompidou Center. Hotel Henriette is located just 656 feet from the Gobelins Manufactory and 1640 feet from the Latin Quarter. Not sure if to recommend this place, as I don't want it to become (too) popular :)). Located near the Sorbonne University on Paris’ chic left bank, this 4-star hotel offers luxury rooms with period furniture and painted ceilings. Wonderful two night stay. Helpful, courteous staff, comfortable room, great location. 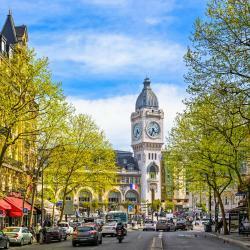 In a Haussmannian-style building, this 3-star hotel is located across from the Maison de la Mutualité and 230 yards from the Cardinal Lemoine metro station. Everything was great, but the room and shower were small. In a 19th-century building, this hotel is near central Paris. It offers soundproofed guest rooms with a flat-screen TV with cable channels. We felt that The Hotel was a Very Good Value! Providing free WiFi throughout, Hotel des Grandes Ecoles is set in Paris, in the 5th arr. District. 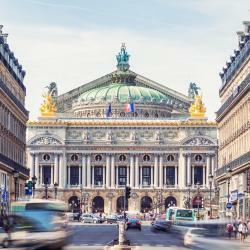 Located around 2953 feet from Noter Dame Cathedral, the hotel is also 1 mi away from Opéra Bastille.... Beautiful property. Helpful staff. Excellent locations. Hotels with great access to Censier-Daubenton Metro Station! Relais Saint Jacques is in the heart of the lively Latin Quarter, on the edge of the Luxembourg Gardens. It offers a peaceful setting and free Wi-Fi access. Location was excellent. Staff super friendly and helpful. Loved the room!